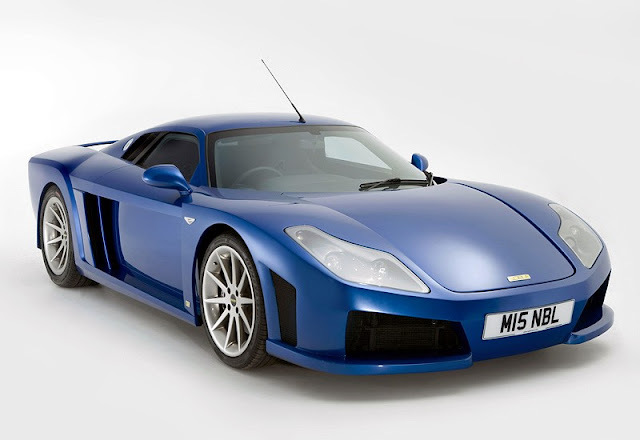 Noble's sports car credo was simple. Let the driver do the driving! That was in sharp contrast to many other manufacturers - who were happy to let gizmos have half the input. To Lee Noble, half the input meant half the fun! Founded in '99, his firm shot straight out of the automotive blocks. The Noble M10 - released that year - did 170mph. With a normally aspirated engine! Its light plastic bodywork was key to that speed. The Noble M12 moved things up a gear. Its turbocharged Ford motor was, perhaps, more racer than roadster. Time to throttle back a tad. The M15 was launched in 2006. Pundits - Top Gear among them - praised its performance. 185mph was on tap - with 0-60 coming up in 3.4s. The twin turbocharged Ford Duratec engine made 455bhp. And the power was evenly delivered. As Lee Noble had made clear - his cars were about the total driving experience! The M15's motor was mounted longitudinally. That smoothed out weight distribution - helping handling. The M15's purposeful poise was propped up by a space-frame chassis. That was, in turn, backed up by an integral rollcage. The car's cabin was comfortable. There were electric windows, and sat-nav. Traction control, and ABS, too. Did that border on computer control? Possibly ... but Noble had a duty to protect its customers! And their wallets, for that matter. By supercar standards, the M15 came cheap. £74,950 was small change compared with some of its peers!